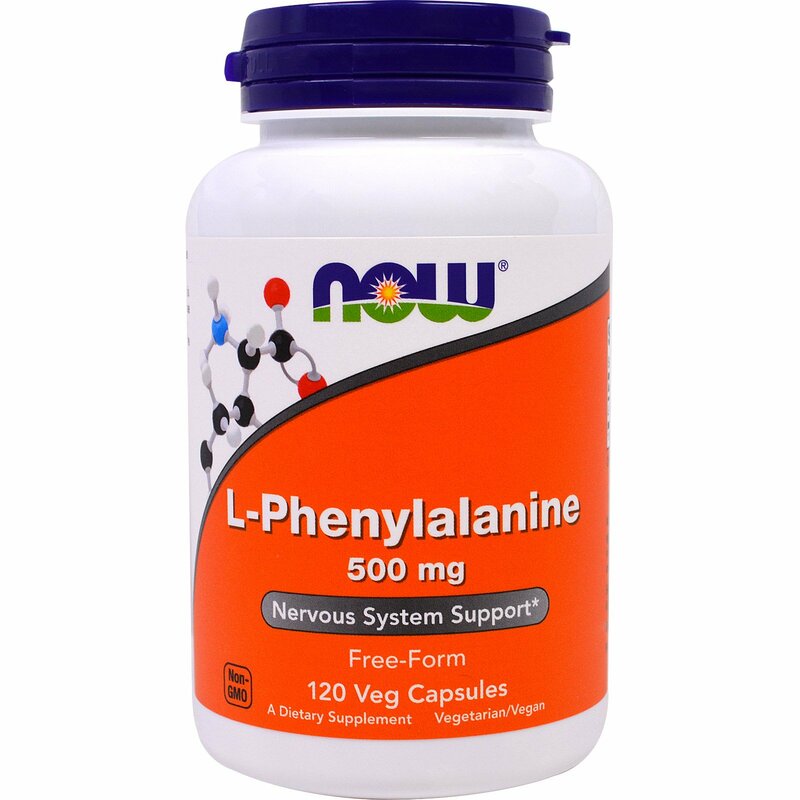 L-Phenylalanine is an essential amino acid that is necessary for the synthesis of protein. Because L-Phenylalanine can be readily converted into the amino acid tyrosine, which forms part of the structure of the neurotransmitters dopamine and norepinephrine, it is important for the maintenance of a healthy nervous system. 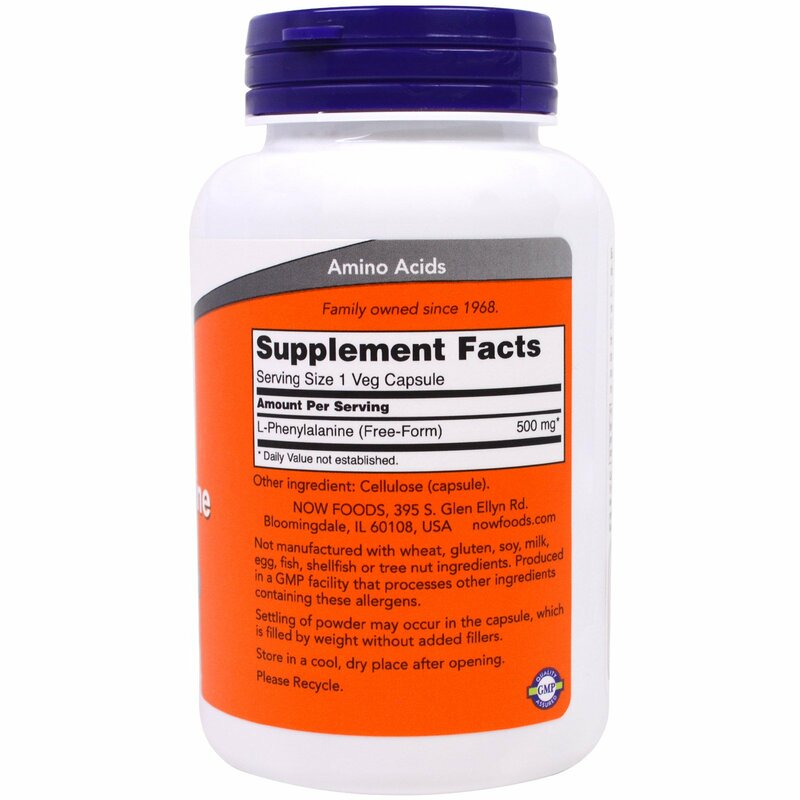 Take 1 capsule 1 to 3 times daily as needed, preferably between meals. 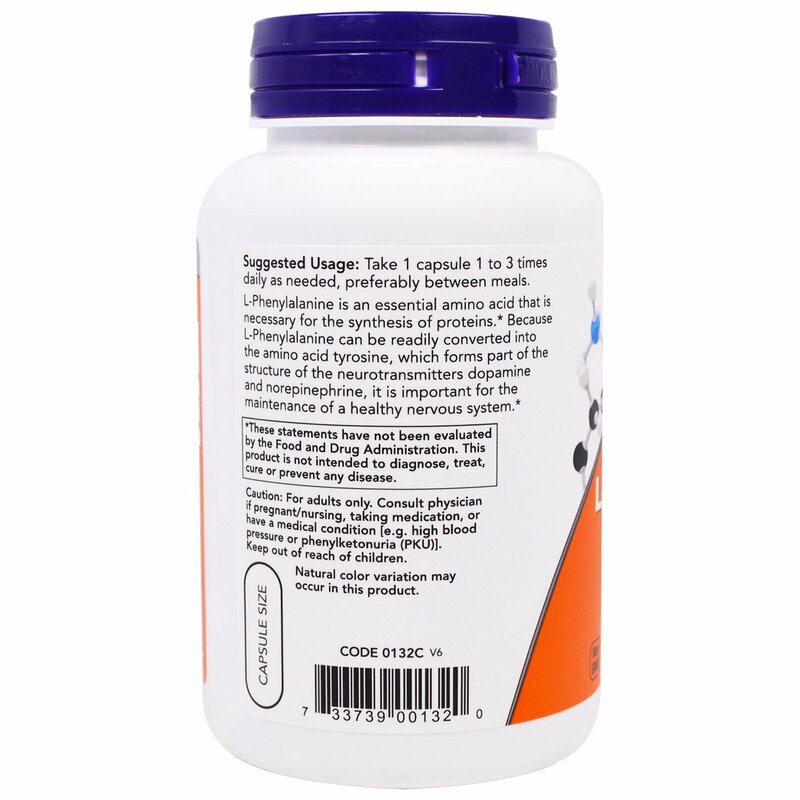 Settling of powder may occur in the capsule, which is filled by weight without added fillers. Caution: For adults only. Consult physician if pregnant/nursing, taking medication, or have a medical condition [e.g. high blood pressure of phenylketonuria (PKU)].